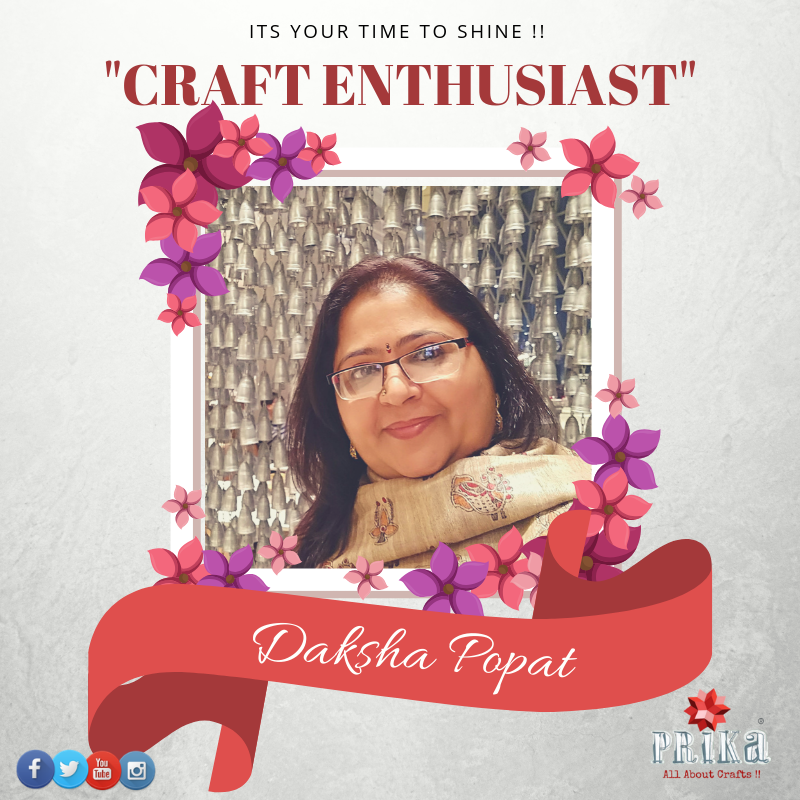 Prika: Craft Enthusiast: "Daskha Popat"
This is what Daksha speaks about her journey as a crafter and her story of being a craftpreneur…. I am Daksha Popat from Kolkata. I’ve been married for about 27 years now and am a mother of two. My interest in arts and crafts has always motivated me to pursue activities that interest my creative side. I have a degree in interior design and have been taking classes and orders for various items such as stained glass paintings, murals, Tanjore paintings etc. 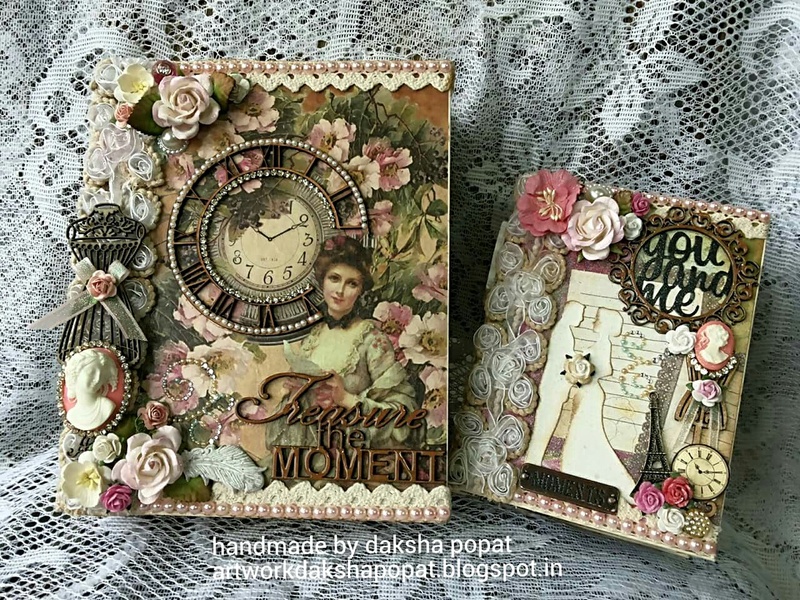 It is difficult to trace back to the exact time when I started crafting because it has always been a part of my life in some way or the other. I started with paintings, art forms like Tanjore, vrindavani ,stained glass and 3D clay murals and went on to discover other new and interesting forms which introduced to the current crafting community all over the world which I am grateful to be a part of. 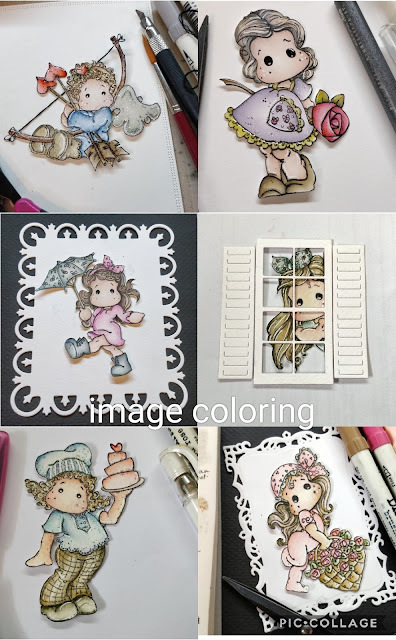 Ever since I was a young girl I had been drawn to art and craft, I was extremely fond of sketching and painting and discovered new art forms as I grew up. I must add that the internet has played a huge role in my crafting journey as it has helped me find new and innovative forms of paper craft. I might sound funny when I say that I was attracted to paper crafting because of a certain set of stamps but it is indeed true. 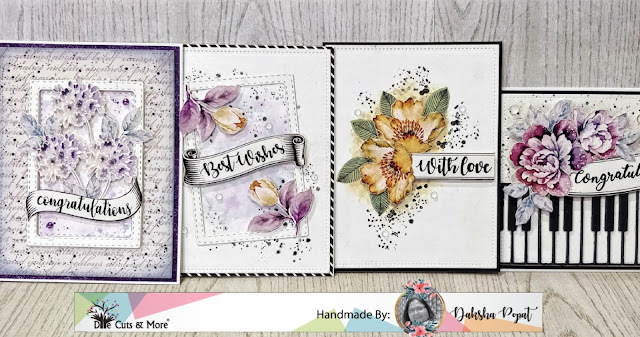 Years ago the Magnolia stamps were something that caught my attention and inspired me to start paper crafting. My first buy was a set of magnolia stamps, a paper trimmer and scorer. That’s it, that was a small start to a long journey which surprises me everyday and keeps me hooked through challenges and new things to learn. Card Making, Stamping, Colouring Fuzzy Cutting and Layering in my Projects. My favourite style of crafting is dependent on my mood however I like shabby chic and vintage the best. 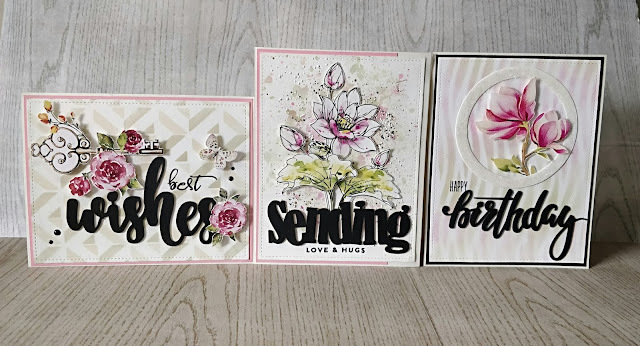 I love to do 3D cards and cards with unique folds, pop up cards, gift boxes etc. I am not a person who plans about future since I think its totally unpredictable, rather I keep myself ready for all situations that comes to me and take it as a challenge..
My only message to my fellow crafters is to keep experimenting and trying new things. Accept challenges as they come, move out of your comfort zone and learn. However, I am a perfectionist, and I feel that colour sense, perfection and neatness are important for any project. "More inspiring crafting stories coming from us...keep following Prika- All About Crafts"